Alina Mungiu-Pippidi teaches Democratisation and Policy Analysis at the Hertie School of Governance since 2007. She studied political science at Harvard University after completing a PhD in Social Psychology in 1995 at the University of Iasi in Romania and is the Chair of the Policy Pillar of the FP 7 ANTICORRP project. She serves as an adviser on good governance to the European Commission DG Home, after having consulted in the past for UNDP, Freedom House, NORAD, DFID and World Bank, among others. She was a Visiting Scholar at Harvard, Stanford, the European University Institute and St. Antony’s College of Oxford University, among others. In 1996 she founded the think tank Romanian Academic Society, which has since played an important role in promoting good governance in Romania, and inspired and advised many civil society anti-corruption coalitions in other countries. Her research interests are in the area of Europeanisation, state-building, institutional transformation, and development of modern governance. Donatella della Porta is professor of Sociology in the Department of Political and Social Sciences at the European University Institute since 2003. She is on leave of absence from the University of Florence, where she was full professor of Political Science, president of the corso di laurea in Administrative Sciences, and Director of the Department of Political Science and Sociology. Professor Della Porta received a Diplôme d’Etudes Approfondies at the Ecole des Hautes Etudes en Sciences Sociales of Paris and a PhD in political and social sciences at the European University Institute in Florence. She directs the EU FP6 DEMOS project (Democracy in Europe and the Mobilisation of the Society). She has conducted research also at Cornell University, Ithaca N.Y. and at the Wissenschaftszentrum Berlin für Sozialforschung (WZB). Her main research interests concern social movements, political violence, terrorism, corruption, police and policies of public order. She is currently involved in several comparative projects on citizenship and social movements. She is also co-editor of the European Political Science Review. 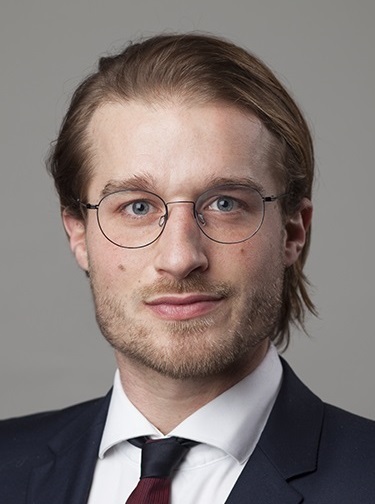 Fredrik Eriksson is a lawyer (LLM, Lund University, Sweden) specialised in the area of corruption prevention, with particular focus on public sector legislation/regulation and strategies for transitioning towards increased openness and public control over the exercise of public authority. He has worked on reviewing and revising laws and regulations pertaining to access to information, public service, conflicts of interest, and lobbying, among other topics. Corruption risk assessments and the issue of illicit financial flows and their impact on development are also part of his experience. In this line of work, Mr. Eriksson has contributed to developing a research programme on tax havens and illicit financial flows at the Norwegian Research Council and coordinated strategic research on the use of secrecy jurisdictions by international development finance institutions. Mr. Eriksson has previously worked as Senior Anti-Corruption Adviser for the Norwegian Agency for Development Cooperation (NORAD) and now works as a consultant on anti-corruption and illicit financial flows related projects for a wide range of multi- and bilateral aid agencies providing project leadership, legal technical expertise as well as training. Arntraud Hartmann is an Adjunct Professor at the Johns Hopkins University, Bologna Centre, Italy and at the Hertie School of Governance, Berlin. She held numerous Senior Management Positions with the World Bank, such as Director for Southeast European countries and Senior Adviser to the Operations and Policy Department. She was the first Chief of Mission for the World Bank in Romania (1991-1996). She also worked as Senior Research Fellow with the UNICEF Innocenti Centre and was a Senior Adviser to the World Commission on the Social Dimensions of Globalization. She is a regular member of the Quality Review Process of IFAD and works as independent consultant for the IMF, the World Bank, IFAD and the GIZ. She conducts research on scaling up of development programmes as part of a research programme on aid effectiveness conducted by the Brookings Institution in Washington, DC, and regularly publishes jointly with Johannes Linn on this subject. She holds degrees in law, economics and international relations from Hamburg University, Johns Hopkins University and American University, Washington, DC. Ivan Krastev is Chair of the Board of the Centre for Liberal Strategies in Sofia and Permanent Fellow at the Institute for Human Sciences (IWM), Vienna. He studied Philosophy at the University of Sofia and has headed research teams on various topics including human security in South Eastern Europe, the impact of NATO enlargement on the NATO have-nots, Bulgaria in the regional context, and the current state and prospects for cooperation between the countries of South-Eastern Europe. Krastev was a Visiting Fellow at the Open Society Institute Budapest, the Wissenschaftskolleg Berlin, the Woodrow Wilson Center for International Scholars in Washington D.C., and at the Institute of Federalism at the University of Fribourg, Switzerland. He contributes frequently to leading European and American newspapers, journals, and magazines, such as The Wall Street Journal, Frankfurter Allgemeine Zeitung, Die Zeit, Le Monde, and The Financial Times. He is the editor in chief of the Bulgarian edition of Foreign Policy. Alena Ledeneva is professor of Politics and Society at the School of Slavonic and East European Studies, University College London. She has received Master and PhD degrees from University of Cambridge and has taught Sociology at Novosibirsk State University, University of Cambridge and University of Manchester. Ms. Ledeneva has several publications on economic crime, informal exchanges and corruption in Russia. Furthermore, she has explored the subject of trust and particularly the betrayal of trust in her research on corruption in post-communist countries of central and Eastern Europe and the Commonwealth of Independent States. Her main research interests are corruption, informal economy, economic crime, informal practices in corporate governance, and the role of networks and patron-client relationships in Russia and other post-communist societies. Salvador Parrado is currently teaching in the department of Political Science and Public Administration at the Spanish Distance Learning University (UNED), Madrid, and as a visiting Professor at the Hertie School of Governance. He has published several books and articles on comparative administrative systems, the civil service, intergovernmental relations, public management and public sector reform. His current research focuses on issues related to corruption, public management and regulatory policies. Commissioned by national public agencies and international organisations like OECD, SIGMA, World Bank and UNDP, he has authored or co-authored numerous policy reports and evidence-based research and has carried out empirical work in countries like Brazil, Chile, Czech Republic, Denmark, Germany, Mexico, Moldavia, Norway, Switzerland, the Netherlands, United Kingdom, and United States among others. At present, he is European editor of the journal Public Administration and director of Governance International. 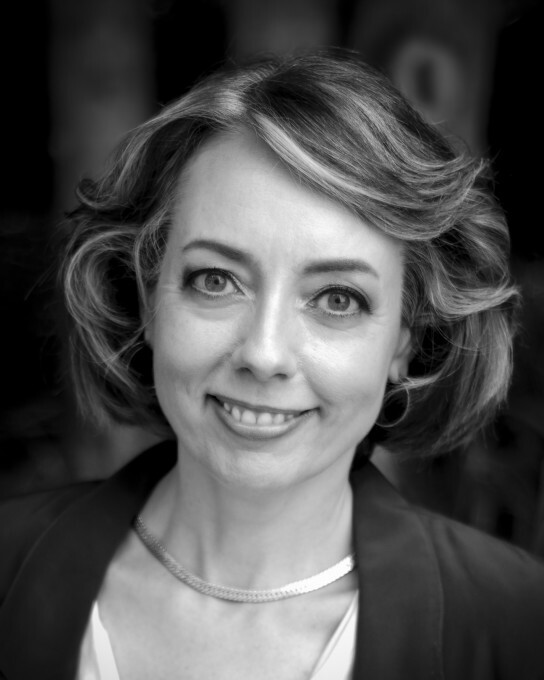 Janine R. Wedel, a social anthropologist, is University Professor in the School of Policy, Government, and International Affairs at George Mason University and currently affiliated as a visiting researcher with the Hertie School of Governance in Berlin. She writes about governing, corruption, and influence elites through the lens of a social anthropologist. Wedel is co-founder and president of the Association for the Anthropology of Policy (ASAP), a section of the American Anthropological Association. She is the author of award-winning Unaccountable: How Elite Power Brokers Corrupt Our Finances, Freedom, and Security (Pegasus, 2014); the Shadow Elite: How the World’s New Power Brokers Undermine Democracy, Government, and the Free Market (Basic Books, 2009); and Collision and Collusion: The Strange Case of Western Aid to Eastern Europe (Palgrave 2001), among many other books and articles. Dr. Ramin Dadašov works as a postdoctoral researcher for ANTICORRP at the Hertie School of Governance. He studied economics at the Universities of Magdeburg, Oslo, and graduated from the Freie Universität in Berlin. He received his doctoral degree in economics and social sciences from the RWTH Aachen University. Before coming to Hertie, he worked as research and teaching associate in the International Economics Unit at RWTH Aachen University. His research interests span the fields of political economy and international economics. His dissertation papers deal with determinants of institutional quality in developing countries and especially focus on the influence of financial globalization. Some of his papers are already published in internationally renowned academic journal including: Economics & Politics, Review of International Economics, Economics of Governance. Luciana Cingolani, PhD is a postdoctoral researcher at the Hertie School of Governance for the DIGIWHIST project. She obtained her PhD on Development and Public Policy Analysis from Maastricht University in 2014. Previously she obtained an MPhil from San Andres University in Buenos Aires, funded by the Argentine Research Council. Her research revolves around the impacts of institutions in development, and the role of governance, state capacity and transparency. She has collaborated with several development organizations including the United Nations University, the United Nations Development Programme and the French Development Agency. Dr. Alexander Kleibrink works for the Smart Specialisation Platform at the European Commission. Among others, he is responsible for a project on results-based monitoring and transparency in innovation policies. He is also conducting trainings in the Western Balkans. He is a political scientist by training and completed his Dr. rer. pol. on patronage and decentralisation in post-socialist states at the Free University in Berlin. Previously, he worked at the German Federal Ministry of Finance and at the Anticorruption Unit of the UN Office on Drugs and Crime. He also holds degrees in public policy from the London School of Economics and the Hertie School of Governance. 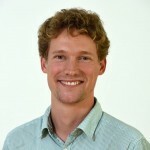 Niklas Kossow is a research associate and a PhD candidate at the Hertie School. He holds a B.A. in European Social and Political studies from University College London (UCL) and an MPP from the Hertie School of Governance. Prior to joining ANTICORRP, he gained work experiences within the German public service and Transparency International. Niklas also worked as consultant and researcher for Freedom House, The World Wide Web Foundation and the United Nations Development Programme. Originally from Cologne he has previously lived in France, the UK, Russia, Turkey, the US and Cambodia and is fluent in Russian and French. His research focusses on the use of new technologies in the context of anti-corruption movements and democratization. 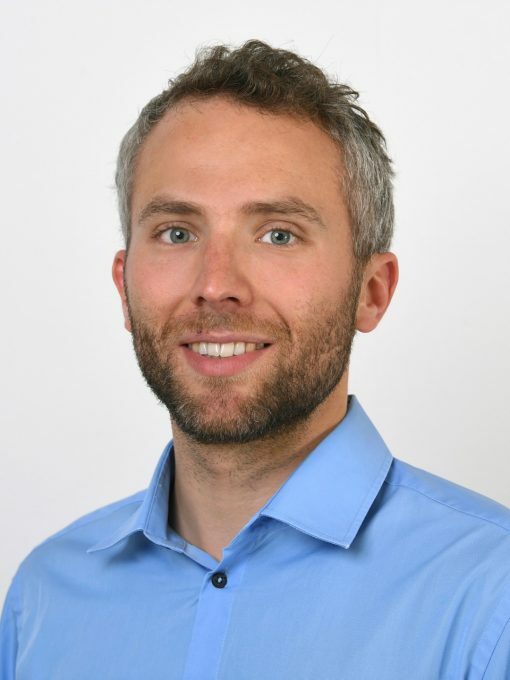 Till Hartmann is a research associate and a PhD candidate at the Hertie School of Governance in Berlin. Till’s current research focuses on the factors determining the content and scope of international organizations’ anti-corruption programming. Before joining the Hertie School, he worked as a Junior Professional Associate (JPA) at the World Bank in Washington, D.C., focusing mostly on institutional reforms in Latin America, doing project design and implementation work. Previously, he worked on municipal governance with the Inter-American Development Bank (IDB) in Brazil and civil society capacity building with Cencos (NGO) in Mexico. He holds a master’s degree in International Economics and Latin American Studies from Johns Hopkins University SAIS and completed a bachelor’s degree in Political Science at the Free University of Berlin and Sciences Po Paris. Elizabeth Miszta is the Communications and Programme Manager at the European Research Centre for Anti-Corruption and State-Building at the Hertie School of Governance in Berlin. She coordinates projects commissioned by the Bertelsmann Foundation and the GIZ (Deutsche Gesellschaft für Internationale Zusammenarbeit), as well as being the publication manager of ERCAS’ Working Papers Collection. M.A. graduate from the Humboldt University in Berlin, she previously worked in non-governmental sector on R&D projects, development of educational applications, and for the British Parliament. Max Montgomery is governance expert with extensive experience in the Sub-Saharan African contexts. He is a Research Fellow and Doctoral Candidate at the GIGA since 2014. His research has been published in peer-reviewed journals, including the British Journal of Political Science and Politics and Society. He has consulted a variety of development institutions and projects, such as the KfW, DGAP, and the EU FP7 ANTICORRP project. Aram Khaghaghordyan is a Doctoral Student at the Hertie School of Governance. Aram is a lawyer and policy analyst with a particular interest in anti-corruption, compliance, and public procurement, specifically within Eastern European and post-Soviet Union countries. Previously Aram coordinated ERCAS at the Hertie School and was project lead on several research projects (Horizon 2020 DIGIWHIST, EU FP7 ANTICORRP and MEDIADEM). He designed and constructed the EuroPAM, a large scale legislation analysis effort that produces assessments of in-law efforts in the fields of conflict of interest, public procurement, financial disclosure, party financing and freedom of information that covers 35 jurisdictions. Aram participated as an expert at international events organized by OECD, UNODC, UNDP, CoE, ReSPA and International IDEA. His current research looks at state compliance with international anti-corruption norms with a focus on the Group of States against Corruption (GRECO). Roberto Martínez B. Kukutschka is currently a PhD student at the Hertie School of Governance. He obtained his Master’s Degree in Public Policy at Hertie and holds a B.A. in Political Science and International Relations from CIDE (Centro de Investigación y Docencia Económicas) in Mexico City. Before joining ERCAS, he served as Head of the Anti-Corruption Department at the Mexican Tax Administration Service (SAT), where he was responsible for enforcing and implementing the OECD anti-bribery convention, as well as the UN and OAS conventions against corruption. His other work experience includes the analysis of public opinion surveys for the Mexican Presidency as well as Research and Teaching Assistant positions at CIDE, the Hertie School of Governance and the Technische Universität Berlin. 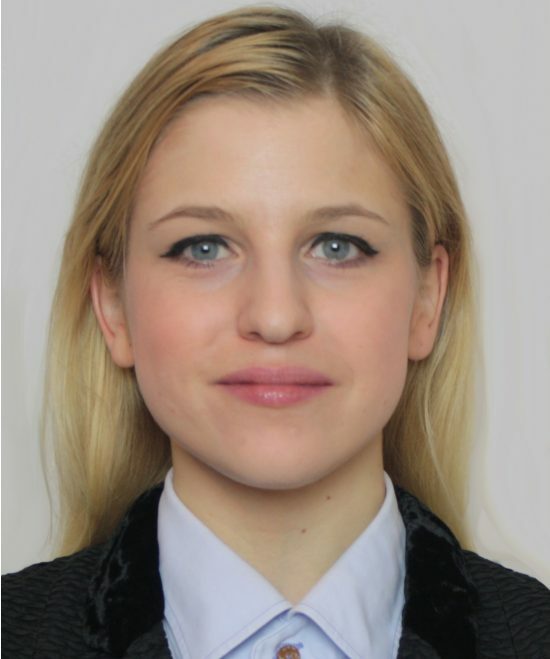 Geraldine Endrizzi is Faculty Assistant to Prof. Alina Mungiu-Pippidi at the Hertie School of Governance and has previously worked as Project Associate for the EU FP7 ANTICORRP project. She obtained her Master Degree in Public Policy at the Humboldt-Viadrina School of Governance and holds a Diploma in Art Therapy and Pedagogy from the Hochschue für Künste im Sozialen (University of Applied Sciences and Arts) Ottersberg, Germany. Before joining Hertie, Geraldine served as the Human Resources Manager at a large international school in Berlin which inspired her Master thesis on the facilitation of intercultural competence at international schools. Mrs. Geraldine Endrizzi also works as a freelance consultant and project manager for a Berlin based NGO where she is responsible for the development of new projects and the implementation of a new quality management system. Bianca Vaz Mondo graduated from the Master of Public Policy programme at the Hertie School of Governance in 2011. Before that she studied International Relations at University of São Paulo. Her previous professional experience includes two years at a NGO engaged in projects to fight corruption and monitor the public administration in Brazil, and as former editor of Civil Society Against Corruption, a project initiated by Prof. Alina Mungiu-Pippidi and conducted since 2010 by the Romanian Academic Society (SAR). Her main research interests and areas of expertise are anti-corruption policies, civil society watchdog initiatives, societal and normative foundations of corruption and democratic consolidation. 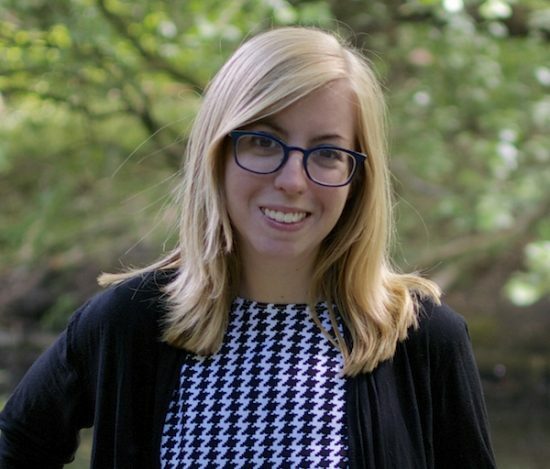 Victoria Dykes is a research associate working for the DIGIWHIST project. Victoria graduated with a Master of Public Policy from the Hertie School of Governance. She also holds a B.A. in International Affairs from Marquette University in the U.S. Her research interests include public procurement, the use of technology in monitoring and fighting corruption, and the systematic analysis and visualization of corruption-related data.